Just recently I have handed my resignation in at my day job and will be going full-time with Bijoux in June. Who would have thought it a year ago! 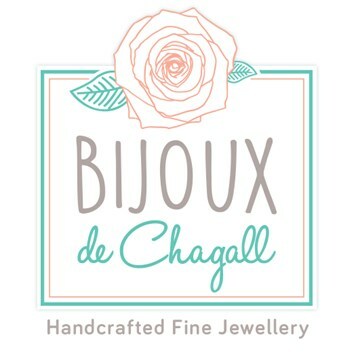 Today we are excited to find out more about Julia from Bijoux De Chagall! We always love finding out more about our loyal customers, their story and how they got started in their jewellery making journey. 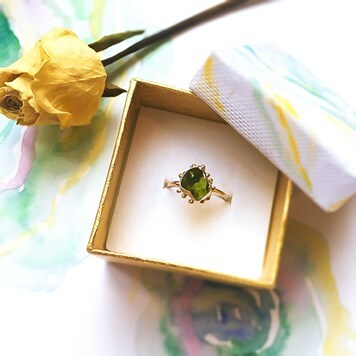 Julia has been making jewellery for over a year now and we are always so inspired by her designs, such as her most recent jewellery showcasing our peridot rough stones. If you'd like to tell your story, scroll down to see how you could be featured! As far back as I can remember, jewellery has always been a big passion for me. As I came from an artistic background, it was no surprise that I studied Art & Design. Soon after graduating from Art & Design College I got a job as a Set & Costume Designer at a Film Studio. Over time I adapted my creative skills to computers and so became a Graphic Designer. Just over a year ago I decided to try my hand at making jewellery. 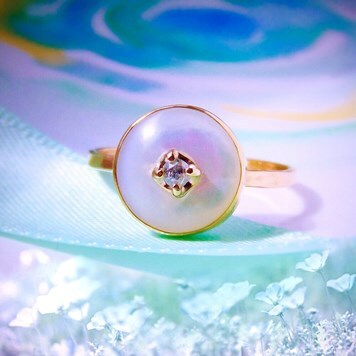 In my experience, I always found it difficult to source unique and interesting precious metal pieces. So bearing that in mind my main aim was to produce jewellery made from silver and gold materials using only natural gemstones at a reasonable price. I remember coming across an Aladdin’s cave called Kernowcraft on a web search and so the seed was sown! I soon built up a basic tool-kit and gathered together various materials and gemstones using my day job money to fund everything. I then set about making my first ring, it was a fairly basic sterling silver opal solitaire. 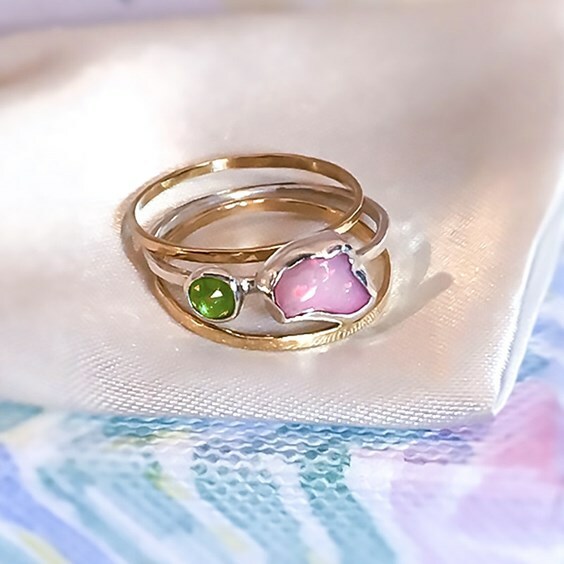 One of the first hurdles I had to get over was learning how to solder & how to set gemstones. I soon found out that both these tasks were an art form in themselves. But after many tears and spoiled pieces, watching many tutorial videos and reading as much as possible, I gradually got the hang of it. I progressed to making pendants, earrings and more simple rings. As my confidence grew I started to design more elaborate and complicated pieces. Keep believing and don't lose hope! As my collection grew a decision was made to open an Etsy shop and an e-commerce website. 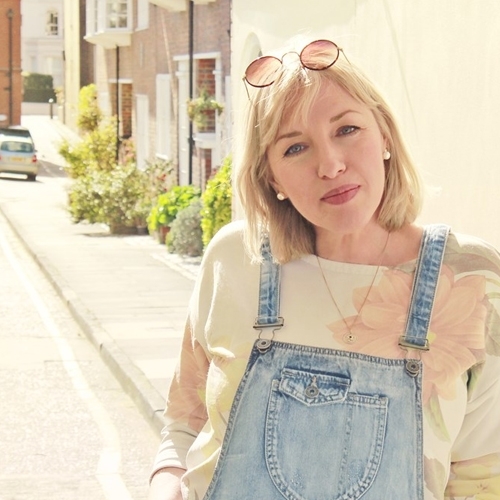 Obviously being a Graphic Designer helped a great deal too as it enabled me to create an inviting shop and website and it saved me a lot of money. I already had a basic knowledge of photography so this helped me to produce nice pictures as well. Within a couple of weeks I had my first sale, I remember it well, it was a personalised silver pendant necklace. Over the next few months sales were coming in slowly but surely. Patience is essential during this time, so do not lose hope and keep believing in yourself. Things never happen quickly at the beginning until you get your name out there and get on the Etsy radar, it just takes time. 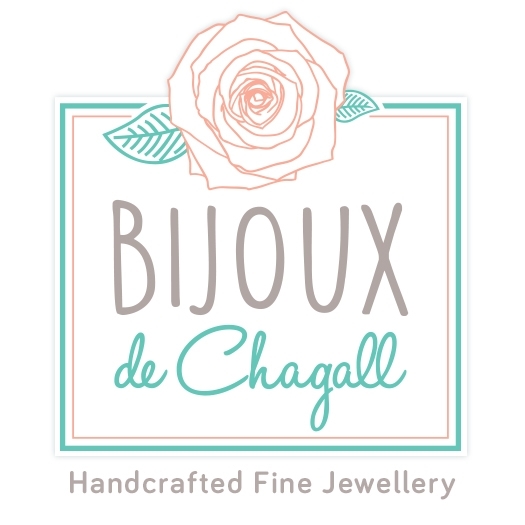 In October 2016 my husband and I opened a business account and Bijoux De Chagall had officially arrived. During the next six months I was able to grow my collection to over 50 pieces. In early 2017 we were approached by Glamour & Vogue magazines asking us if we would like to advertise with them. We accepted and are currently nearing the end of a three-month campaign with both. 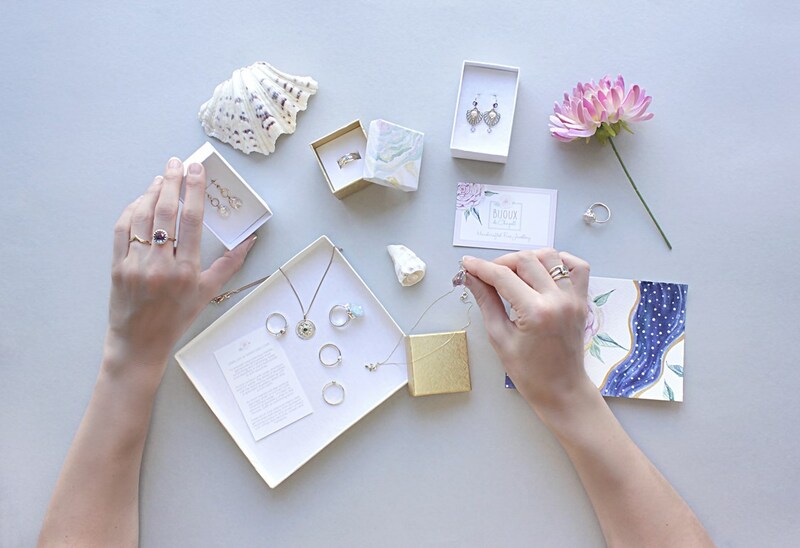 Although not cheap, it has certainly helped with sales traffic to the website and to a degree with Etsy as well and sales have since had really started to take off. So much so in fact, I have not been able to create many new designs recently, although I have loads bursting out of my head! Still, I am not complaining, I would rather it be this way. Just recently I have handed my resignation in at my day job and will be going full-time with Bijoux in June. Who would have thought it a year ago! I believe you need to be passionate about what you do and you need to put your soul into everything you make. Unique designs and presentation play a key role too and if possible you need to offer something different to your customers as competition is very fierce. I personally hand-paint all my gift boxes. Although this is quite time-consuming it does set me apart from many others. Another thing you need is support. My Husband Allan, takes care of all admin, postage, advertising and the sourcing of gemstones and materials amongst other things. Apart from the initial outlay, everything else has been funded by the business. It does take a lot of money to put together a decent tool-kit but I can assure you it’s well worth it in the end. By the way, I still make mistakes but I am still learning. I hope my story has been of help and interest and if it provides you with any inspiration then that’s even better and I hope it helps you to succeed at what you love doing. Julia – Bijoux De Chagall. Where can you find Julia? This book is excellent for beginners and for the more experienced. 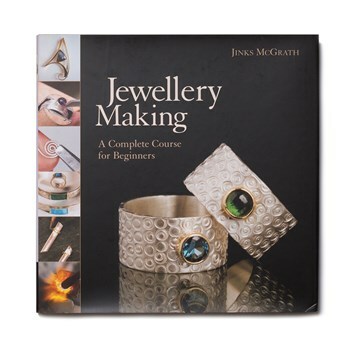 Lots of useful tips and ideas, helping in a step by step way to easily understand various jewellery techniques. 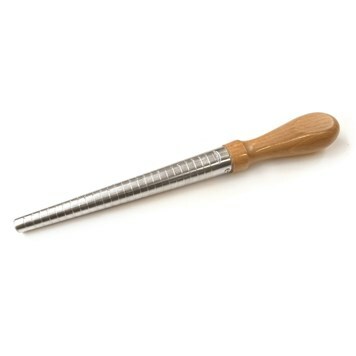 This is a must have item for your tool-kit! 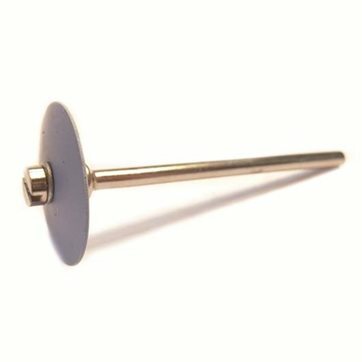 The Rolls Royce of ring sizing sticks. So very accurate, well worth paying the extra money to get your customer's U.K. ring sizes correct. Looking back, I don't know how I ever managed without these. I think they are a must for my tool-kit. I am a firm believer in hand polishing my jewellery before completion and these do a fantastic job! 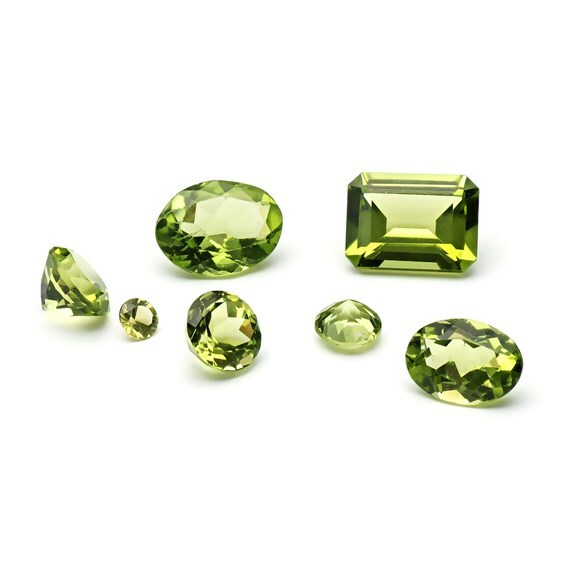 Peridot's colour can range from olive tones to lime green, it's green color is due to the presence of iron, the darker olive green indicates a higher iron content. 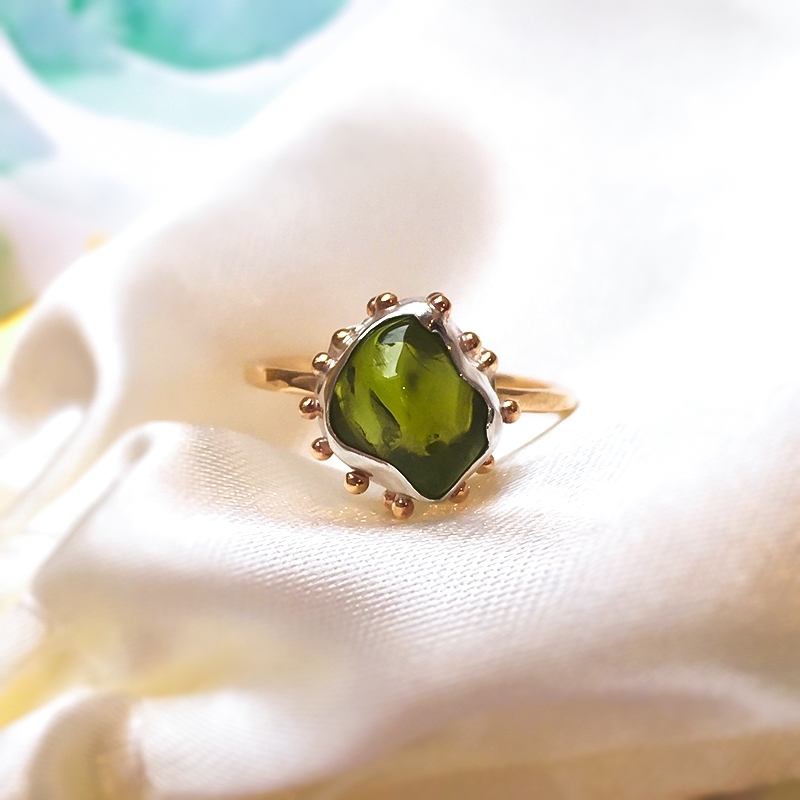 Peridot is thought to be a symbol of wealth, success and is thought to improve relationships. What will you create?